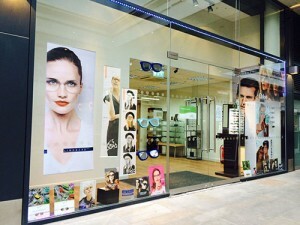 London Eye Optique is an independent opticians based in the vibrant area of the City between Moorgate and Barbican. With over 20 years experience we take pride in providing the highest quality service and after care you deserve offering comprehensive eye examinations, contact lens consultations and advise on all aspects of vision and eye care. Anne O’Donnell is our resident optometrist at London Eye Optique. She has over 20 years’ experience, including working for the prestigious Moorfields Eye Hospital. Throughout her career Anne has worked with a variety of people, from working closely with families to advising the corporate sector on the effect of screen time on their eyes and providing the best in protection for their employees. She has vast experience of all types of spectacle and contact lens prescriptions, providing this in the most professional, experienced and friendly manner. Anne is registered with all relevant professional bodies including the GOC, AOP, BCLA, and NHS. She keeps her professional knowledge up to date by attending courses on a regular basis. Joanne is our full time Optical Advisor and has been in the practice for many years. She is the “backbone” of the practice due to her insight and knowledge about the area, practice and understanding of the needs of our customers. She is often seen welcoming you into the practice. Our Qualified Dispensing Staff at London Eye Optique have over 20 years’ experience between them. They keep their professional knowledge up to date by regularly attending meetings with frame and lens manufacturers and taking part in trade shows. They are part of professional bodies including ABDO and are registered with the GOC.